Im a near max TH12 looking for a relaxed adult clan that wars a few times a week. I would like to find a clan to help on my war attacks and understands when family or work gets in the way. Im not real active chat but reliable in war. Not looking for a clan with a lot of drama or ♥♥. Also not looking for a clan that requires outside apps or is a serious war clan that berates you if you mess up an attack. My hero are maxed, buildings almost maxed, spells almost maxed and walls are all level 12 or 13. Prefer a US clan, the time zones works better for me but will consider international clans if there are active members on when I am. Message me here and I will get back to those I have questions about. No cut and paste replies please. I know it won't do any good I fell better about saying it. I run a mature and friendly war clan, Infamous. We have a casual and friendly clan atmosphere with a mix of people who focus on different aspects of the game but work well together. Although I have preference for people who would like to mingle with the clan rather than 'not be active in chat' as I believe a simple thank you or even conversations go a long way in building a good clan relationship within which has made the clan a one of a kind, second family more than just another group to join and play with. The clan has been established for almost 4 years now and remains as lively as it is with the help of everyone who continues to make our clan a real home. If I have caught your attention, please do read our recruitment post for more details which I haven't covered. Also, feel free to hit me up with a message or chat in game if you would like to know more. Laid back and understanding when life needs attention. Max clan games and no real donation requirements. Massacre is a 5 year old clan, we have gone through many phases and leaders in our time. Recently the old crowd took a break a year ago. A group of us have come back and we are looking to get Massacre back running and set the clan up for Clan War Leagues. We have a solid core of long term players and loyal long term Massacre for life members. Currently the 2 co-leaders are actually individuals who had their own era of leading over multiple years. To put it this way, Massacre is a home for our members. It is very common that people who take a break from the game come back to Massacre if they return to the game. This in large part is because we take a fun active approach to our game. We enjoy winning and have a very good war record to show it. However we are not negative towards people, it is our goal to help people grow and become better players. To join Massacre please indicate that you are from the forum. We are currently recruiting active players. Our requirements are th9+ for Regular War and general member. We also are taking Social Members of any TH level however we won't put you into wars. We offer social slots to encourage people to grow and learn the game while being in a fun active environment. The leaders of Massacre understand the frustration a lot of players are having currently with Clan War Leagues. The 15 player setup of Clan War Leagues leaves a lot of clans subbing in and out or only allowing Town Hall 12s into CWL. We have a solution. Clan War League Roster. Simply put we have a 15 person roster for CWL. These people are expected to be available for CWL (not have heroes down during CWL) and must be full time active members of the clan. For this you get a permanent slot in CWL, subbed out ONLY if you need to be because you are busy. I say that again: You WILL NOT be subbed out. The roster will not change and slots will only open if someone leaves the roster. The only reason people will leave is voluntarily or if you fail to make attacks. Other than that we will grow as a team. If you are loyal to the Clan we are loyal to you. Currently we are taking active, non-rushed, th10+ players for our CWL Roster. Hi mate you'd be welcome here. We're an adult clan running back to back wars. Most have an active family life but we have some really experienced war players in our clan to help you out. There is no expectation to 3 star in war just as long as you attack your assigned targets. We don't use Discord much, it's just another recruitment option, you're welcome to apply in-game. We're an international clan with many US members. 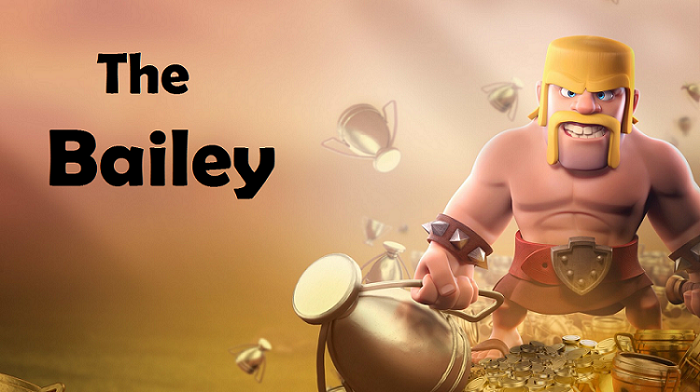 Check out our Clan Recruitment Post if you're interested in finding out more about our clan. We do constant 50v50 wars, and participate in CWL. Would love to have some new faces around our clan! Have you found a home yet? I have a tight knit adult clan that I run, #9UU8JLYC. You'd fit in well there. All adult players, great people and personalities. Have had a lot around for years. Let me know if you have any questions or concerns.